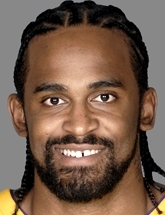 I think Turiaf will still not get as many minutes as Kwame Brown. Phil Jackson for some reason thinks really highly of him, and I think he may actually settle in to be an almost league average center. Mike, although I understand where you are coming from, and I do agree that Phil Jackson thinks highly of Kwame, I can’t help but think that Turiaf is much better. I think that over time (in the long run) the Lakers fans, as well as Jackson, will ensure that RT21 will get more playing time. Turiaf’s been averaging 6-8 more minutes a game in bynum’s absence, averaging 12 points (16/28 shooting), 3.5 boards and 2.5 blocks.I just watched a Lakers practice report and Phil Jackson told the media that Ronny has been held back a bit by a nagging toe injury. This has prevented Jackson from playing him for extended periods of time.If Turiaf can work through this injury, I think he can be a solid pickup in deeper leagues (12+ teams).